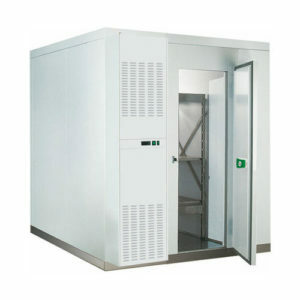 Enviro Chill is one of the country’s leading suppliers and installers of cold rooms in the UK, having worked with a number of sectors that require high quality cold rooms you can rely on. Our walk in fridges will offer the perfect storage solution for a wide range of products and are installed to the highest standards by the Enviro Chill team. If you want a more bespoke solution, our engineers will work with you to design a bespoke cold room that perfectly fits into your premises and is set to remain at the temperature you need. We have years’ of experience helping businesses by working with you to offer a cold room that meets your needs. We’ll visit your site and take into consideration your requirements, budget and timeframe before our trained engineers present you with a range of options. With years of experience in the refrigeration industry, Enviro Chill is well equipped to design and install your cold room or walk in fridge. We’ll also be on hand to offer ongoing maintenance and service plans to keep your cold room in the best possible condition. Why choose Enviro Chill Ltd? Enviro Chill is one of the UK’s leading refrigeration and air conditioning specialists, and from our headquarters in Liverpool, we help commercial and industrial clients throughout the UK find reliable, high quality refrigeration solutions that ensure you have one less thing to worry about. We offer a free site survey and quotation, where our highly qualified engineers will answer any questions you may have about your cold room and how we design and install it. For more information about our walk in fridges, cold rooms or Enviro Chill Ltd, don’t hesitate to give us a call on 0151 285 1818 or get in touch online today.